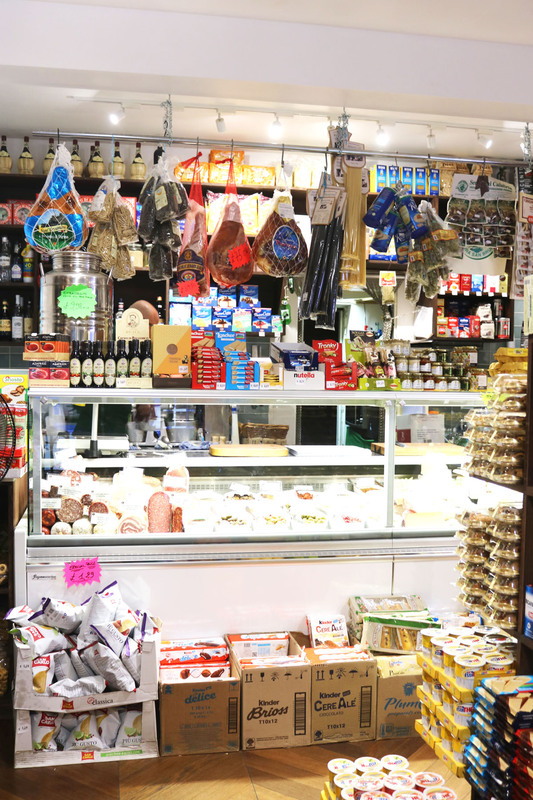 Is there anything better when you are out shopping, than discovering a well-stocked deli. 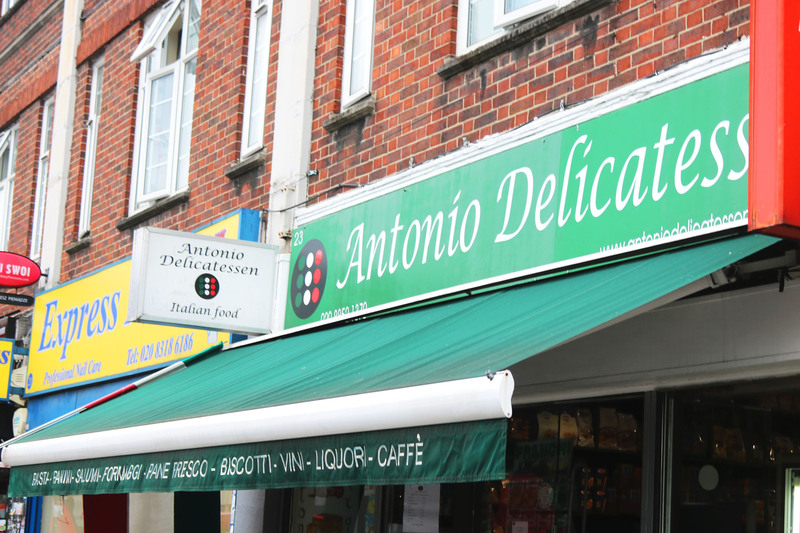 When I walked into Antonio Delicatessen for the first time I was quite simply in awe at how many wonderful Italian ingredients they had managed to squeeze into such a small place. It’s not the biggest deli in the world but as I know all too well, the best things come in small packages! The first thing that caught my eye was the wall of pasta. Antonio Delicatessen should be the new mecca for carb lovers. From regular spaghetti to strozzapreti and orecchiette, there really is a pasta shape for every conceivable recipe. There are lots of wonderful products that have come from Italy and graced these shores but Parma Ham is without a doubt one of my favourites. And, it seems I am not alone! 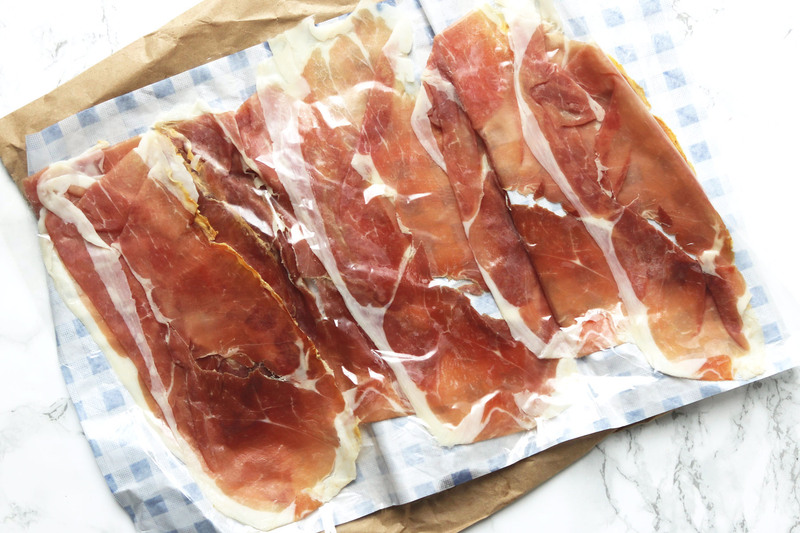 (Fun fact for you here… Britain is the largest international market for Parma Ham with 300,000 hams and over 18 million per-sliced packs sold annually! The Parma Ham was cut as thin as a sheet of tissue paper, the colour was a beautiful deep pink and was marbled with soft, creamy fat. What I love about Parma Ham is that it is both sweet and intensely savoury all at once. The sheer craftsmanship that goes into curing the ham has a huge payoff for the consumer. In the meat I get some notes of black pepper and in the fat I swear I can taste hints of Parmigiano Reggianno (the whey of which is used to feed the pigs that go on to become the ham). I think its really important that products like this are properly protected from imitation. Prosciutto di Parma is not only protected by the EU but the Consorzio del Prosciutto di Parma also play an important role in making sure we only get the best Parma Ham that Italy can offer. The consortium also champion those delicatessen’s and stores that are particularly special and help to confirm Prosciutto di Parma as a great quality product though their specialists programme. Last year, Antonio Delicatessen was named as 2017 Parma Ham Specialist Deli of the Year to acknowledge and reward Antonio and his team for all the hard work they put in to help make sure that Prosciutto di Parma continues to be recognised as a unique and quality product. It’s no surprise that Antonio and his team won. From the second I stepped in the store staff were offering to help. Any questions I had were swiftly answered with a big cheesy grin. I think I found the deli with the happiest staff and customers too. I came away from my shopping trip with a heavy bag and £20 lighter (oops, I’d only gone in for the Parma Ham) and pleased to have supported a wonderful local business. They deserve all the support they can get with such great customer service and quality products. So what did I make with the Parma Ham I purchased? Well it had to be a pasta dish of course! You can get the recipe for my Crispy Parma Ham Topped Spaghetti here. You might want to get the rest of the ingredients from Antonio while you are at it. Oh, and don’t forget to buy a little extra Parma Ham! I did a taste test with some of Antonio’s finest and a pack bought from a well-known supermarket… you can guess what the results were. Antonio’s won! Not local to Lewisham? Don’t worry, it’s only 2 stops from London Bridge and a short walk from Lewisham station. Head over to Google Maps to find directions. I go to Lewisham all the time and I have never walked over there to go in (am usually in the shopping centre…) It sounds like I’m missing a treat. All that parma ham!! Oooo! I’ll be house sitting in Lewisham in late September! Will pop in! My mouth is watering right now. You are very lucky to have such a lovely deli nearby. We used to have one years ago and I was always in and out of there for my mum as a child. I don’t eat ham (being a Jewish vegetarian!) but I do LOVE a good deli! It’s so nice to be able to browse shelves of pasta, and bottled sauces and preserved vegetables and oils and all that good stuff. Quite envious that you have this place so local to you!